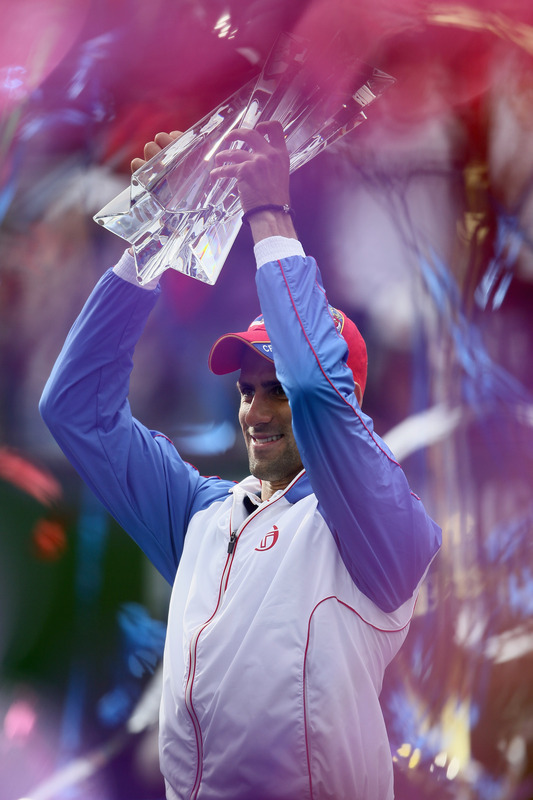 Is there any doubt that Novak Djokovic is the best player in the world right now? 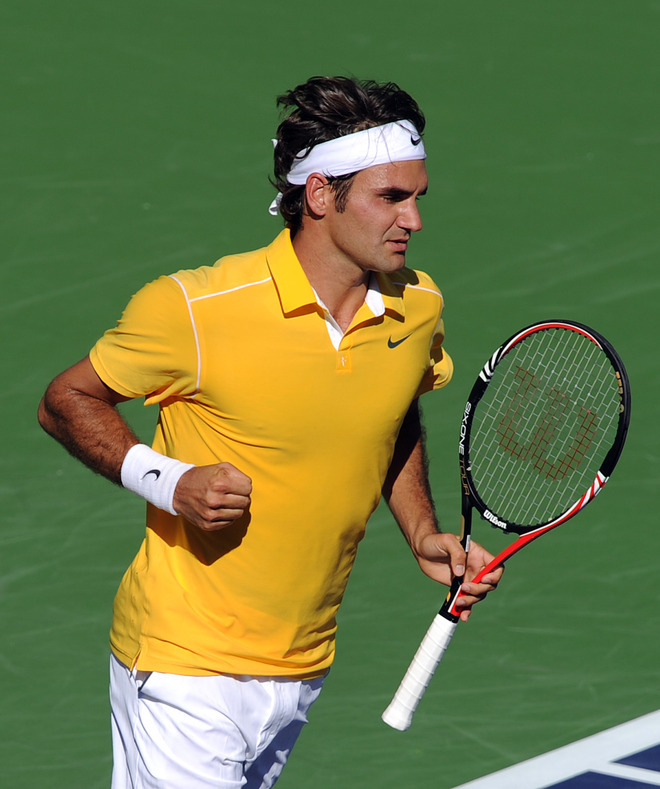 He is 18-0 in ATP matches since the start of the season, he has just beaten Federer to reclaim the world no. 2 ranking, and in beating Nadal 46 63 62 today for the Indian Wells trophy, he has become just the third player to twice beat Federer and Nadal in the same tournament. 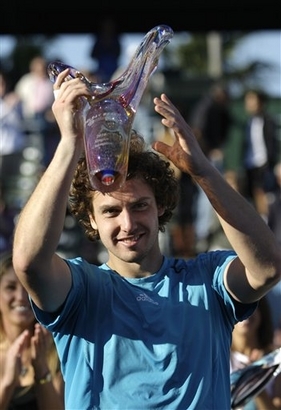 And unlike Nalbandian and Davydenko, the other two members of that little club, the man has two Grand Slam titles. No other player has had a run like this in the Fedal era. Today’s match was a strange one. Neither player was quite at their best and inevitably, Nadal’s kerplosion midway through the second set will garner a lot of attention. But you can’t consider it in isolation from the man on the other side of the net, and Djokovic simply kept getting better and better. 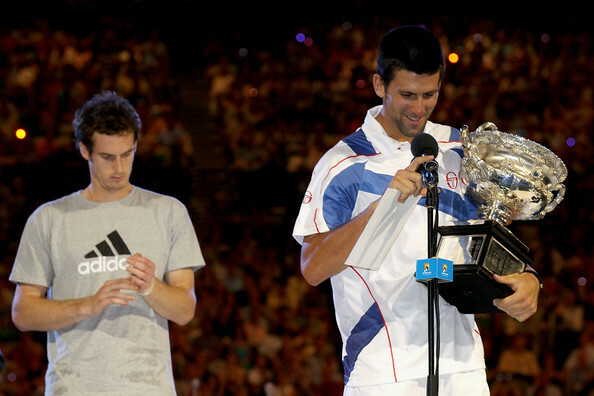 In a battle of wills, it was Nadal who blinked and Djokovic who bore down relentlessly. How cool is that? It won’t last, because form is evanescent, because the body and mind can only give so much, because there is Nadal to contend with and clay season is approaching fast. But right now, Djokovic is supreme. 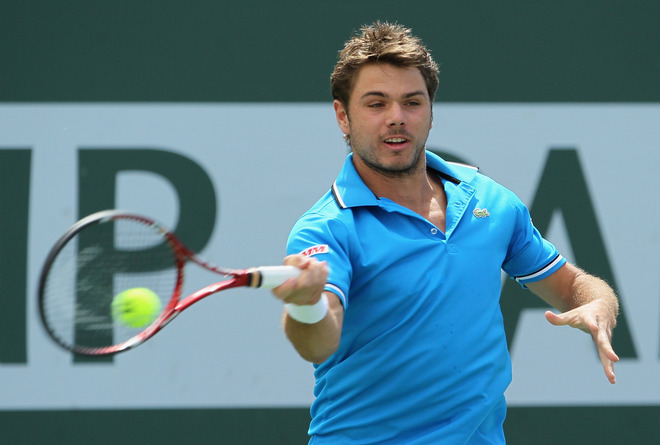 Indian Wells: Are You Being Serb’d? A very Serbian day in Indian Wells today. First of all, we had Novak Djokovic crushing Ernests Gulbis with the ridiculous score of 60 61. Ernie threatened to break in the first game and then did nothing for the rest of the match. I didn’t see it, but one feels I didn’t miss very much. 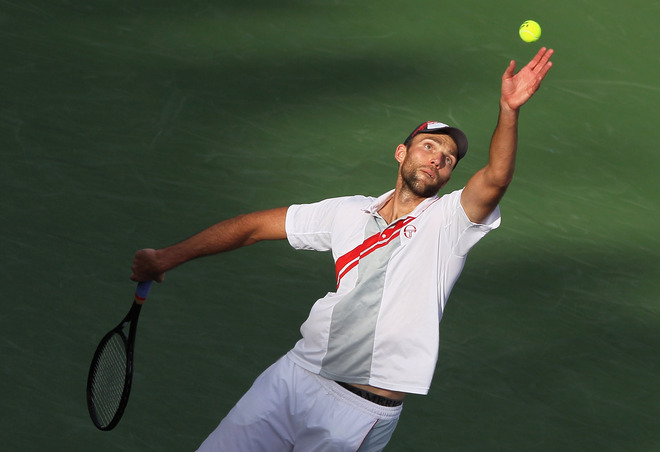 Djokovic will face compatriot Viktor Troicki after the latter defeated Michael Llodra 63 63. And then we had these two. Ana Ivanovic beat defending champion Jelena Jankovic 64 62, and she did it by looking to dominate the points whenever she could and not getting down on herself when she missed. Simple, right? You’d think so, but the time it’s taken for her to get back playing this way suggests that’s not the case, despite the fact that she makes it look so natural when she plays as well as she did today. Ivanovic is still too tense and desperate to be relaxing to watch, but there was a real sense of joy in her tennis today. The fact that she managed to win the first set despite only breaking serve once speaks volumes. JJ … JJ, in a familiar refrain, was disappointing. She had so much success moving Ana from side to side that it was infuriating to watch her squandering the opportunities she got to put width on her shots, she didn’t return at all well and some of her net approaches were frankly baffling. There was simply no spring in her step or, apparently, in her brain. But the way Ana played today, JJ would have had to be near her best to beat her. The openings to rattle her were there, but she came up with big serves at important moments and went for her shots at the right moments and with conviction. Again, it sounds simple but she has a simple game – simple, but terribly effective when it’s on. Her entire problem is overthinking and she kept that in check today. If she can repeat that against Bartoli, she’ll be in the semi-finals and there will be no repining. 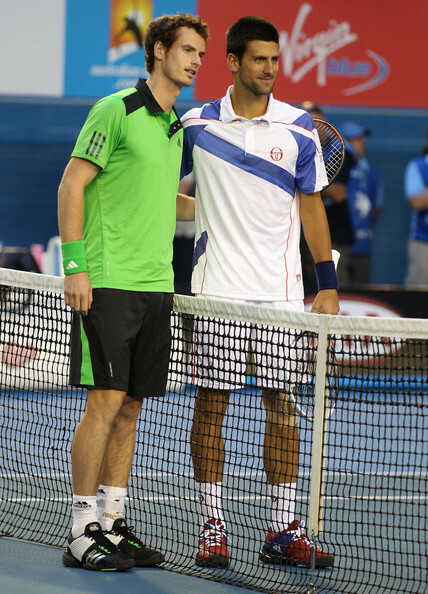 I Think Nole’s Knees Speak For Us All. You can’t spell “hat-trick” without “ha”. Late to the party, I know, but what can we say except that Djokovic was outstanding in the final, and after a less than stellar route there, absolutely dismantled Federer? I don’t think Federer was on top form, but I really don’t think the match was about him. From the beginning, Djokovic was all over him with the return, that lethal forehand of death, and kept putting the ball in fairly impossible positions. No wonder Federer butchered a couple of shots. 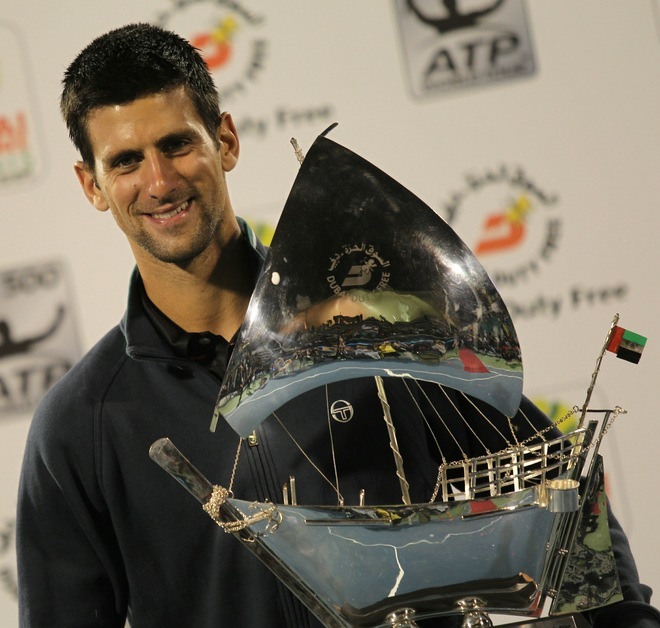 That’s Djokovic’s third Dubai title, and he’s now been unbeaten for fifteen matches. You may, you know, worship him. Pretty impressive for Vera Zvonareva in Doha, who hasn’t won a trophy in … ages, and beat Wozniacki 64 64 in a straightforward final. Wozniacki has had a good two weeks, picking up the Dubai title and beating a couple of former bugbears in Jankovic, Peer and Bartoli, so she was a bit fatigued and reportedly ill, but Zvonareva’s game had more than a little to do with a petulant final performance, so well done to the world no. 3. 500, David Ferrer defending; draw here. Points of interest: How about a first-round meeting between Thomaz Bellucci and Fernando Verdasco? There’s also the question of how new kid on the block Milos Raonic, due to play Carlos Berlocq in the opening round, will respond after his astonishing last couple of weeks – and on a different surface too. 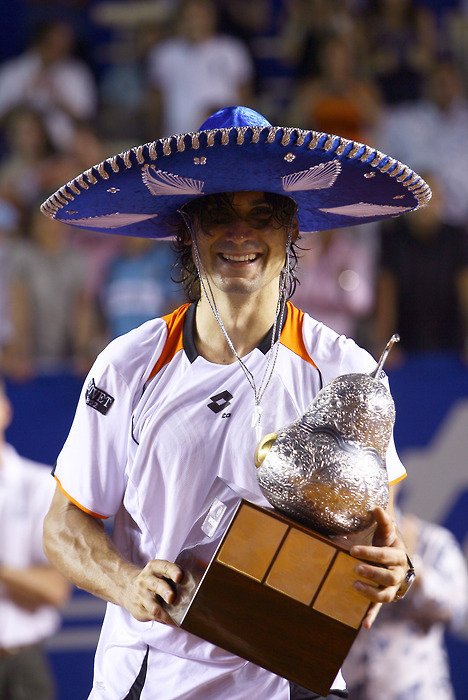 And, you know, Ferru. Oh, and there’s always the question of whether everyone will make it out alive, particularly after this. 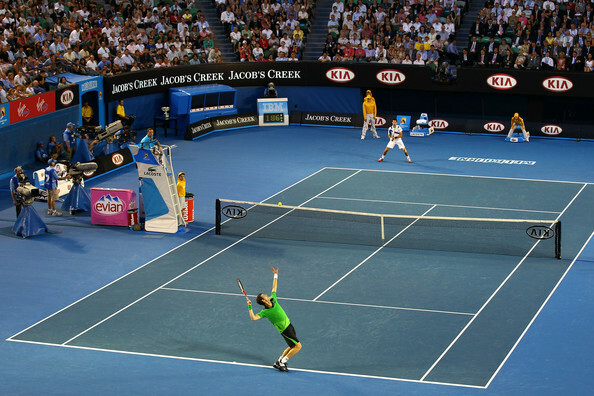 500, Novak Djokovic defending; draw here. 250, Ernests Gulbis defending (or not, given that he’s opted to go and lose in the first round of Dubai instead); draw here. Points of interest: Another American hard court tournament in spring, another brace of Americans, none of whom (with the exception of Roddick, who is clearly ill and may or may not play) particularly impressed last week in Memphis. But there’s a lot of interest in this draw: Dudi Sela, due for a rematch with Roddick; Julien Benneteau and Ivo Karlovic, both making their way back from injury, starting off with Ivan Dodig and Janko Tipsarevic respectively; former champion Kei Nishikori; and of course Delpo, Delpo, Delpo and Delpo, who will be playing Richard Berankis in the first round. 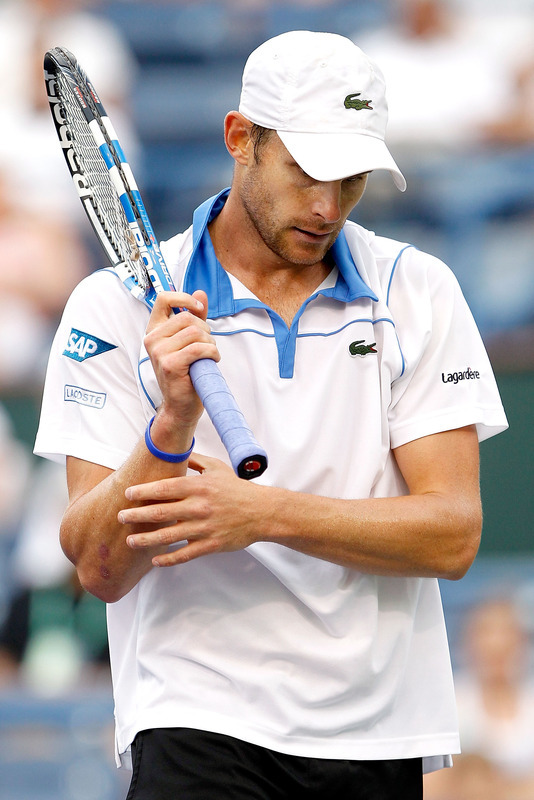 Fair warning: he will probably lose to Berankis, who’s an infuriating bundle of counter-punching energy. Unfair warning: if he does, I’m cliffing myself. Federer said he was frustrated that immediately after losing to Djokovic, some reporters were ready to suggest a new era had begun with him and Nadal on the decline. Nadal lost in the Australian Open quarterfinals after tearing a muscle in his right leg. I see his point, but expecting the media not to ask those questions is unrealistic, to say the least. Anyway, it got me thinking. I know that it’s written in stone that Federer-Nadal is the biggest rivalry in tennis, but is it – really? 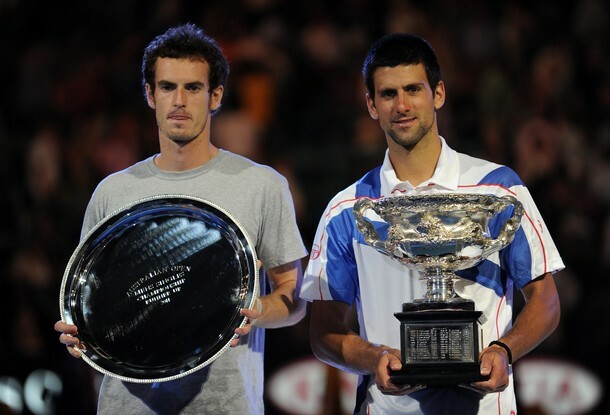 It seems to me that the biggest rivalry is between Federer/Nadal and the rest of the field. Certainly for me, the biggest question is whether it’s still the Federer-Nadal era – or just the Nadal era – or the yet-to-be-named, some-other-people era. That’s what’s keeping me watching, anyway. Just a thought. Anyway. Nole, meanwhile, was thoughtful and hot. 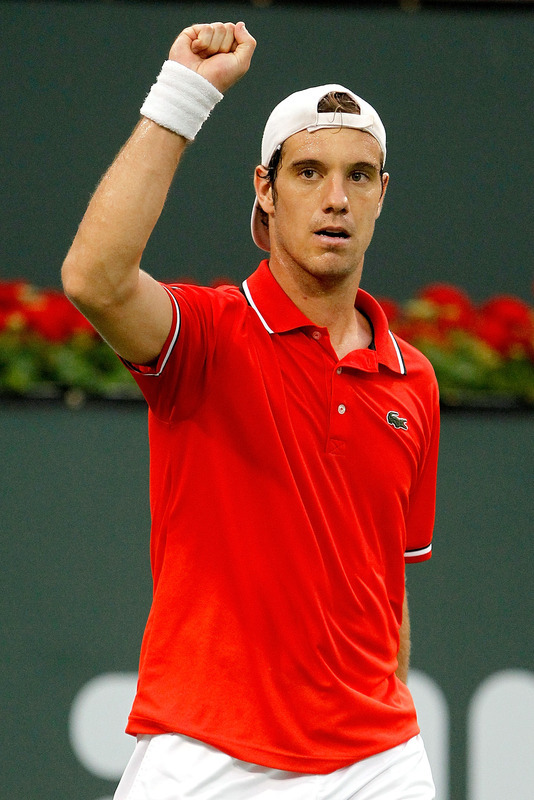 He also announced he’ll be playing doubles with Andy Murray in Miami. 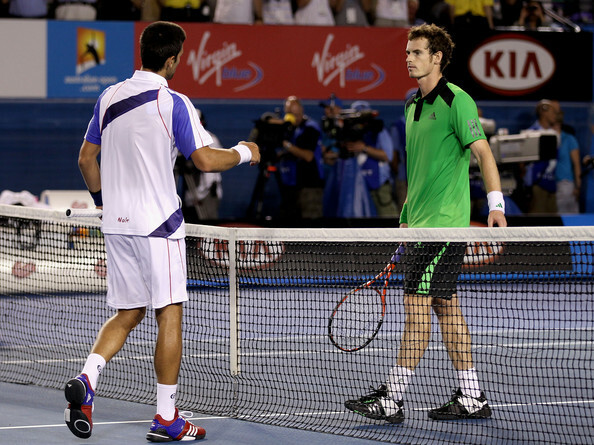 I’m not a big fan of these publicity-stunt pairings, but god knows I’d rather see him playing with Mandy than Rafa. 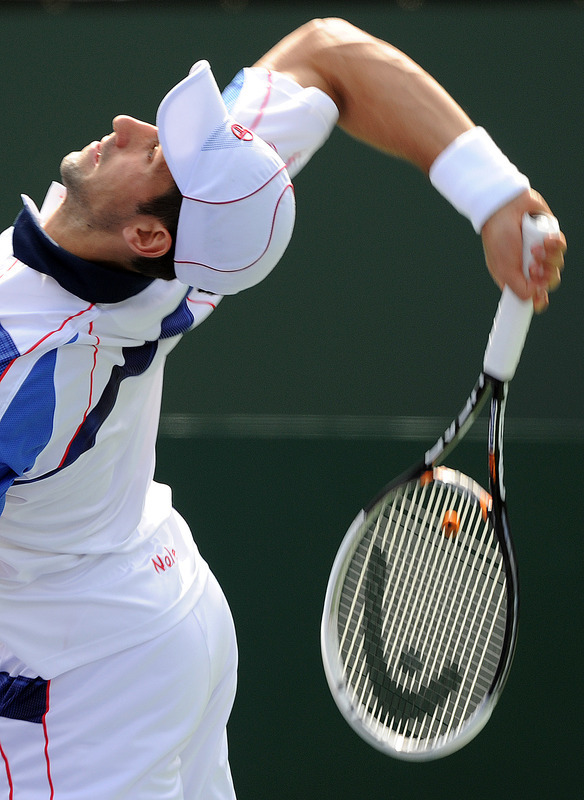 Australian Open champion Novak Djokovic has pulled out of the ABN AMRO 500 in Rotterdam next week, citing a shoulder injury which will reportedly prevent him from practicing for a week. He did, let’s recall, have that shoulder taped in Melbourne. Let’s hope it’s preventative and he just needs a little rest after his feats in Belgrade and Melbourne. 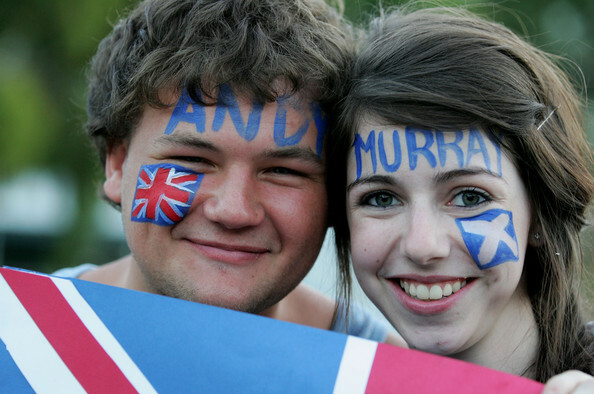 Soderling and Murray are still in the Rotterdam draw. Meanwhile, Novak has been being unbearably hot at a watch shop, or something. I don’t know. Does it matter? He looks hot. There’s also a video of the visit, courtesy of Noleksa on twitter. 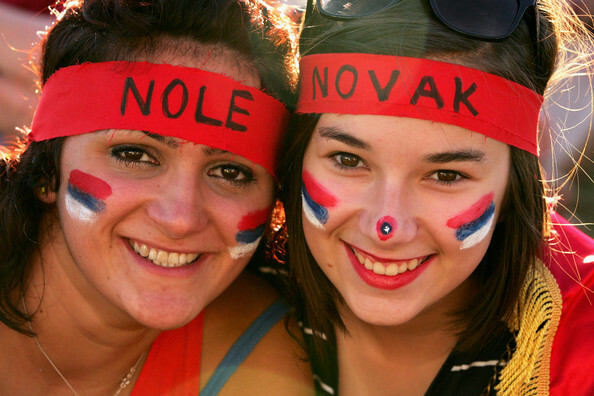 If you can’t get enough Nole – and who can? – check it out. You and Me Could Have a Sad Bromance. […] Q. 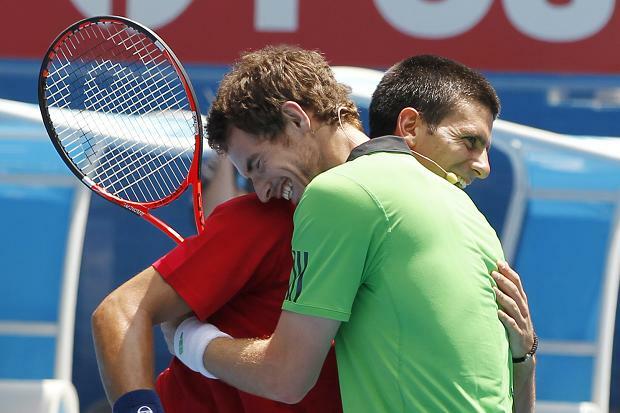 Now is it hard to balance the friendship and the professional rivalry or do you achieve that? It’s fun. It’s been a fun couple of weeks. I think we, as well, reconnected a little bit with the friendship in the last 12 months. Well, we have to forget about all that when we step on the court. It’s all business. 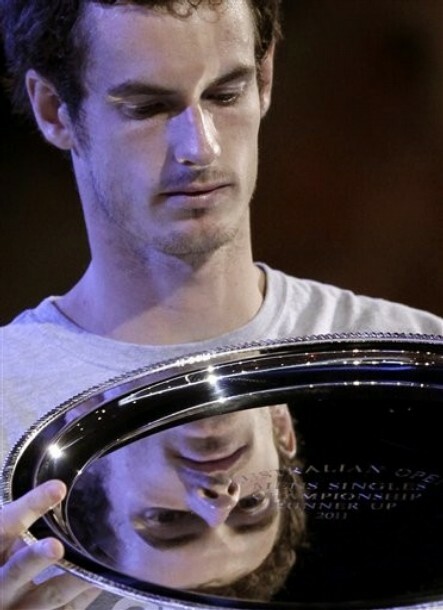 I’m sure he’s going to be very eager to win a first Grand Slam title. “That was more or less on him to decide because I always liked him as a person. We grew up together playing junior events, we knew each other really well and had a lot of fun. 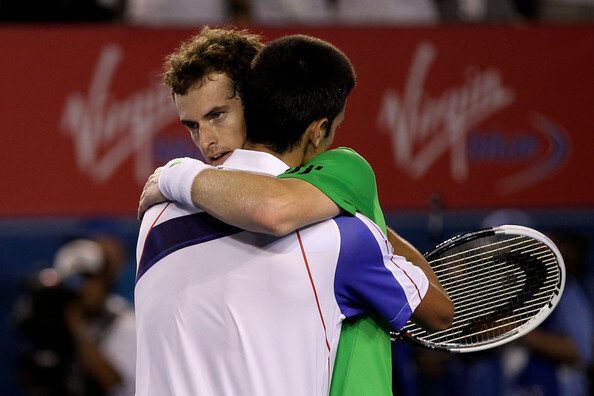 “But then we basically came up to the top of tennis at the same time and were rivals. At some stage we were playing a lot of matches against each other and now we haven’t played for a long time. “Right now I feel we are getting closer because we grew up and this period of three, four years being at the top of men’s tennis has kind of passed and now we know that OK, we are rivals, that’s obvious. But off the court it doesn’t mean that we can’t have dinner or play golf or things like that.